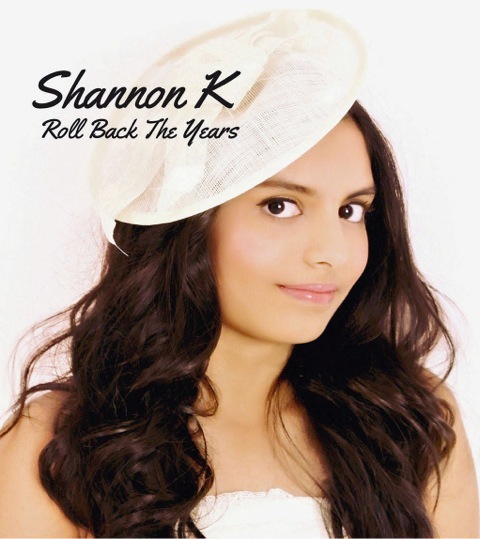 With astounding lyrics written by her nine year old sister Ana and a vocal talent passed down by her legendary father Kumar Sanu, Shannon K’s first single ‘Roll Back the Years’ is due for release on May 24th. Mixing the influences of English pop music with a dash of Bollywood glamour, the track has the potential to be a real crossover hit – especially when you consider the story behind it. Returning home from her London school one day in tears, Ana explained that a friend of hers at school was suffering due to the break-up of her family. She soon channelled this inspiration into a set of lyrics which were put to music by older sister Shannon, with the aim of performing it one day at church or school. However, once their father heard the song, he knew it was strong enough to reach a wider audience. The result is the heartfelt single ‘Roll Back the Years’, sung by Shannon K and ready to make its debut on May 24th. Shannon’s father Kumar Sanu is experienced enough to know talent when he sees it and is excited to see his daughter making her own way in the music industry. A glittering career as a vocalist in Bollywood has seen him win a total of 69 awards including 64 in his native India (from Filmfare, Zee Cine, Kishore Kumarand more) plus 5 internationally (from Sunrise Radio-London, West Indian Academy, Grammy-West Indies, Bollywood Music-U.S.A. and Radio Lotus-South Africa). But perhaps his proudest moment will come on May 24th, with the release of a song written and performed by his young daughters. Shannon K is looking forward to the release of her first single in the prospect of starting her own singing career. There’s no doubting her vocal ability, and there’s only more to come from the young talent. Judging by ‘Roll Back the Years’, our money is on the former.s nu er Kumalike the work of an overly proud parent, but Shannonenough to reach a wider audience.